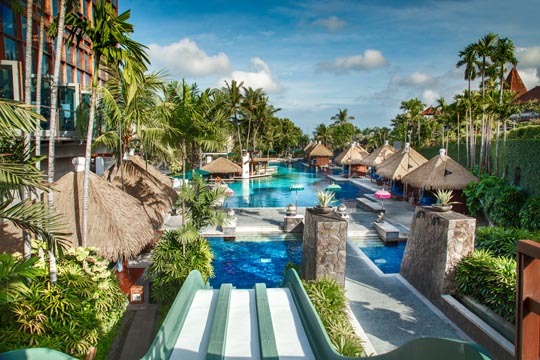 Overlooking Kuta Beach and set in the heart of Bali’s entertainment and shopping district, the iconic Hard Rock Hotel Bali was Asia’s first Hard Rock Hotel. 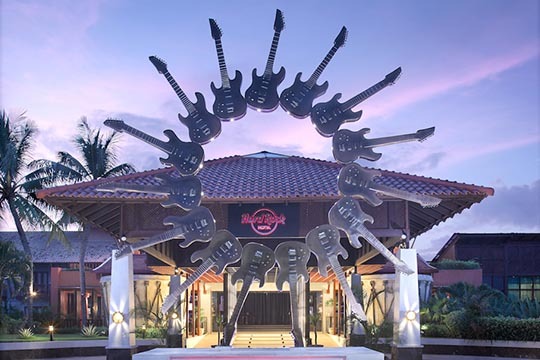 The star-studded ambience starts as you arrive and encounter images, memorabilia and icons that reflect the revolution that changed music, fashion and arts forever, a theme that continues throughout the resort. The accommodation features 418 rooms and suites, including a selection of newly renovated rooms. 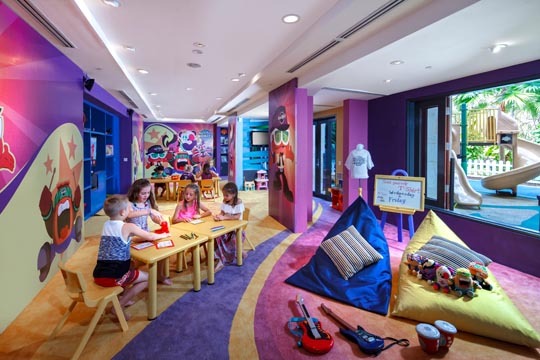 Choose from the Deluxe Rooms, Loft Room or suites such as the fabulous Rockstar Suite – luxurious accommodation featuring a master bedroom with en-suite bathroom, soaking tub and a walk-in wardrobe, while families may prefer the Luxury Kids Suite. 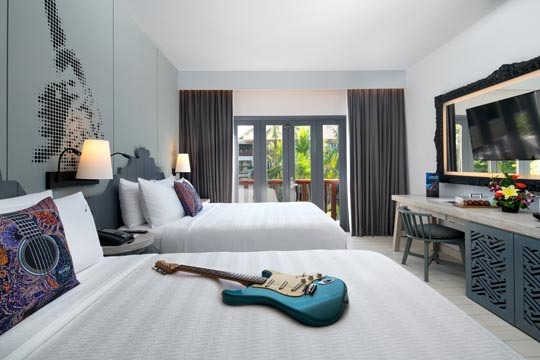 Hard Rock’s signature is limitless energy, unparalleled creativity and quality service, and in Bali guests of all ages are invited to explore the rock and roll culture throughout their stay. Explore the Rock Spa, the fun-filled frolics around the free-form pool to languishing on a lounger with a signature cocktail, you can even try out your vocal skills at the Boom Box Recording Studio. For kids there’s Roxity Kids Club, Tabu Teens Club and daily Mini Olympic Games on the Sand Island swimming pool. The resort bars and restaurants are just as fun and are headlined by the iconic Centerstage and Jamie’s Italian. For all-day dining head to Starz Diner or live it large at Splash Bistro, the resort’s al fresco venue. 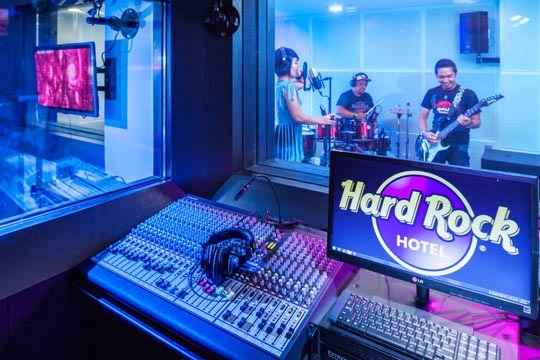 The ideal venue for meetings, themed events, private functions or dinners, the Hard Rock Hotel also features facilities like a ballroom for up to 400 guests. As part of daily activities, guest can also join Balinese Cooking Class at Hard Rock Hotel Bali and Italian Cooking Class at Jamie’s Italian Kuta Beach.